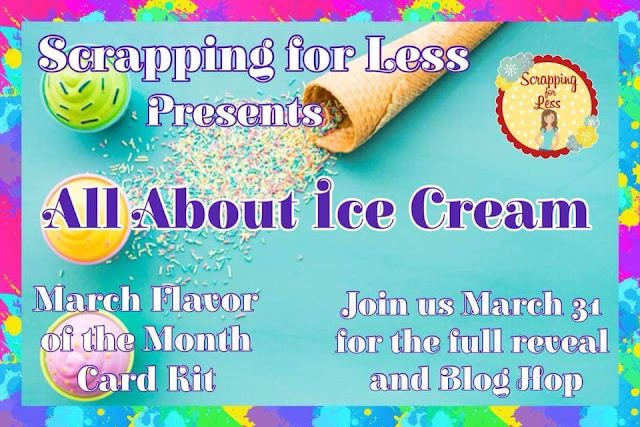 It’s All About Ice Cream this month here at Scrapping for Less for the March Flavor of the Month kit. Can you believe it has been one year since we began this card kit adventure? It has been a wild ride, but a very exciting ride!! We have grown with our subscriptions this past year by 8000%…and yes that is 8K percent growth! Baffles my mind! We are excited about this growth opportunity and even more excited with the new additions to our team…Keep looking to Scrapping for Less for some great inspiration in the future! 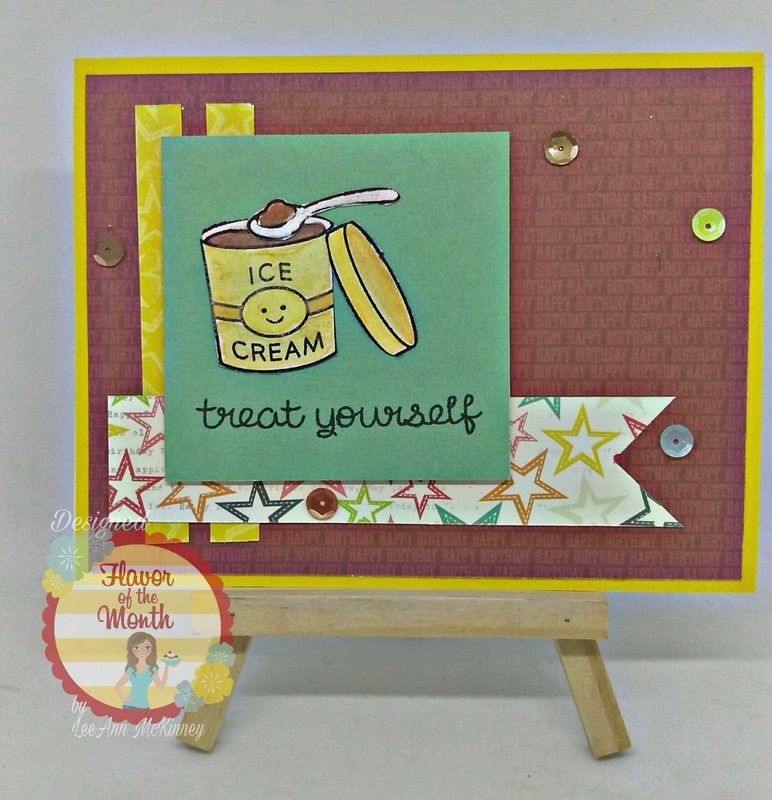 Now onto these fabulous ladies, and our wonderful guest designers for what they have created for you with this super cute ice cream kit this month! Don’t forget to enter in the Rafflecopter! And remember the best way to be reassured to receive a kit is to have a monthly subscription! Thanks again for hopping with us. Happy Crafting! 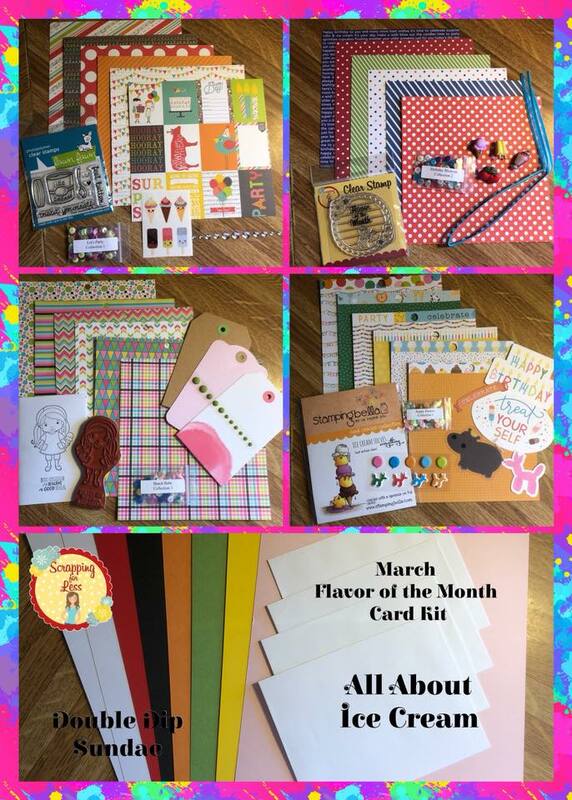 You can go HERE to get your Flavor Of the Month kit (while supplies last)!!! Now on for my projects, I had fun with this kit and so far have created 6 projects for the hop, I will work on more during the month for you. Collection 1 Sketch 1 Colored with Chameleon Mellow Yellow, Hot Cocoa and Sharpie Silver. And who doesn't love Chocolate? Collection 2 Sketch 4 Sentiment and Ink from Banana Split. Colored with Spectrum Noirs BGR1, CT2, LG4, FS2, FS2, LV1, RB2 and Chameleon Markers Vermilion and Mellow Yellow. From my post the hop continues, please go to Jessica's post and see the fun she has in store!!! Please don't forget the March Flavor of the month Checklist and Sketch Sheets can be downloaded HERE!!! I love the card with the circles! Great job! The second card is my favorite. What I like most is the 3 different tags that work well on that card. Great inspiration . Too cute! I can’t wait to receive my kit. I like card 5. Great job!! Such cute cards! Can't wait to get my kit! I love your cards super cute!!! Congratulations for being on the design team. Cute! Can't wait to get mine! Love the designs! Great Job! 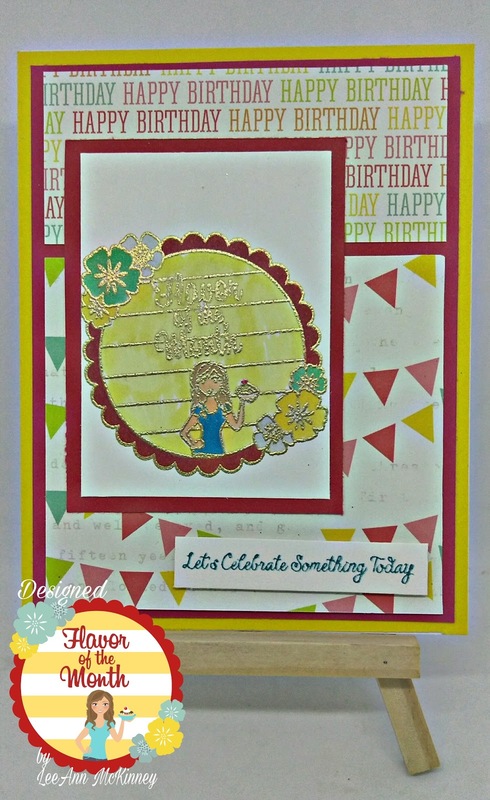 Great cards, happy 1st craftiversary SFL, best wishes for year 2!!! 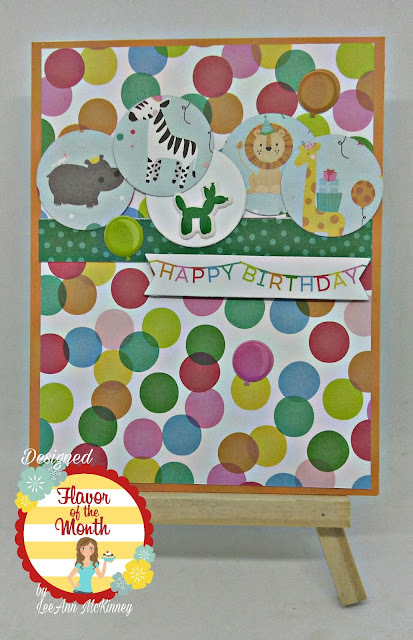 Cute and colorful cards. My fave is the one with the ice cream tub. Congrats on becoming a design member! Really, really adorable cards. Thank you for sharing! !